Gene-editing is going to become mainstream soon. This comes in the form of the CRISPR-Cas9 system that will continue to shape the future of healthcare. Since the end of the Human Genome Project, we now know a little more about the secrets within our DNA but there is still much that needs to be discovered. The CRISPR-Cas9 system allows us to do just that. One of the ways is to remove certain sequences in the genome. Knocking out certain sequences will then allows scientists to study the function of the gene. This technology will also allow scientists to make double strand breaks where they might like to introduce small changes in the genome. The applications of this technology will hopefully pave the way to solving the many problems facing patients. We will hopefully be able to better treat patients with certain diseases. Conditions like cancer and neurodegenerative diseases could be treated by knocking out or selectively editing the genes causing those conditions. Patients might one day be able to undergo genetic “surgery” to allow the swaping of harmful mutations with healthy DNA. We are slowly making a transition to precise, personalised medicine with gene-editing technology at the heart of this. As the CRISPR technology jumps from labs to industry, there is much to be excited about. Editas Medicine is one startup that anyone interested in the CRISPR system should keep an eye out for. The company, based in Cambridge, Massachusetts, annouced its launch back in November 2013. The company’s mission is to translate its genome editing technology into a new class of genomic medicines that enable precise and corrective molecular modification to treat a broad range of diseases at the genetic level. They started with $43 million in Series A venture capital financing led by venture capital firms Flagship Ventures, Polaris Partners, and Third Rock Ventures with participation from Partners Innovation Fund. 3 of the 5 Founders of Editas Medicine (from left to right) – Jennifer Doudna, Ph.D., Feng Zhang, Ph.D., and Keith Joung, M.D., Ph.D. The company was founded by 5 of the world leaders in CRISPR research, including Jennifer Doudna, one of the pioneers in this gene-editing technique. Editas now has a strong foundation in terms of funding to back up the hype, after a Series B funding round of $120 million. 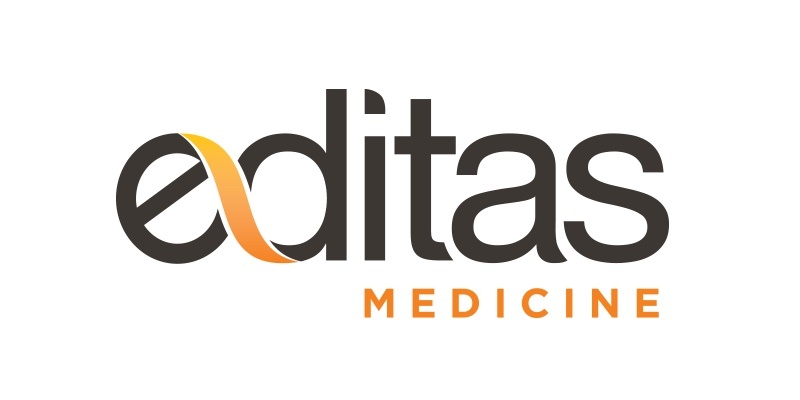 This was led by Dr. Boris Nikolic, managing director of bng0, a U.S.-based investment company that was formed to invest exclusively in Editas Medicine. Before creating bng0, Dr. Nikolic most recently served as chief advisor for science and technology to Bill Gates at bgC3, the private office of Bill Gates, and at the Bill & Melinda Gates Foundation, where he led select for-profit and not-for-profit investment activities, including investments in various life sciences, information technology, and healthcare companies. On top of the financing, Dr. Nikolic has also joined the Editas Medicine board of directors. Caribou Biosciences is a Berkeley, California based startup that should also be on the radar. Caribou was founded by scientists from the University of California, Berkeley to drive the commercialization of applications based on the CRISPR system. Quite recently, Caribou and Integrated DNA Technologies, Inc. (IDT), a producer of custom synthetic oligonucleotide-based (short nucleic acid polymers) technologies for genomics applications, have entered a non-exclusive license agreement. Under this agreement, Caribou has granted IDT worldwide rights to commercialize CRISPR-Cas9 reagents under Caribou’s intellectual property. While these startups are accelerating the applications of CRISPR-Cas9, they still face many challenges to implementing the radical solutions that this gene-editing tech can bring to patients. Genome editing tech can achieve what genomic engineering can more simply, cheaper, and with lower error rates. This leads to some ethical dilemmas that we can’t ignore like “enhancement” of desired traits leading to designer children. Outside of healthcare, this dilemma could encompass bioweapons and other horrible applications. New rules will be imposed, but no one is exactly sure what the rules are yet. With the potential of such powerful technology, there always comes great unpredictability. As we take large strides into the future of healthcare, the applications of gene-editing show great promise to solving some of our problems. However, great caution must be taken to ensure that the technology will be used for the benefit of everyone and its dangers be prevented from slipping into modern society frictionlessly.